Equipped with recently developed 17 times zoom lens designed by Fujifilm. The Sony PXW-X200 has a focal length of 29.3mm and zooms up to 498.7mm (35mm equivalent). 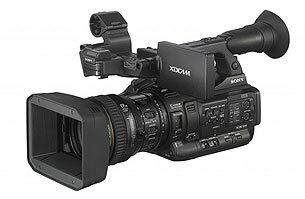 This means that Sony PXW-X200 can record a vast range of filming circumstances. A ½ type imagers (larger as compared to other brand camcorder"s of 1/3-type or 1/4-type). The lens is designed to be as small-scale as possible and therefore easy for you to carry and bring about. As compared to the size of a 14 times zoom lens found in the PMW-200, the Sony PXW-X200 lens size is only approx 15mm in length and it comes together with an image stabilizing function by the shift lens mechanism. Not forgetting the lens has a Focus, Zoom and Iris independent manual control rings, these individual rings also come with a mechanical end-stop for critical manual control with the filter diameter being 77mm. Recording in 1920x1080/59.94P and 1920x1080/50P is now possible, record high speed sports actions and other blurring movement in clear crisp sharp image. If you prefer 1080/59.94P or 1080/50P recording, Sony PXW-X200 makes it possible as well, if XAVC Long CODEC (50 or 35Mbps) is selected. - Please find below for the selectable frame rates in each recording format. - Together with the CODEC selection from the PMW-200 and the new XAVC CODEC that is only available on the PXW-X200. - XAVC formats can be recorded on exFAT system, MPEG-2 formats can be recorded either on exFAT or UDF file system. 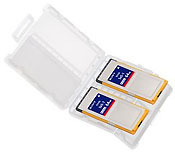 - DV format can be recorded either on UDF (UDF) or FAT32 (AVI) file system. - You can now record Proxy video on a SD card that is inserted in PROXY card slot. - A prerecording starts up at 15 seconds before pushing REC START, you will never have to worry about missing the important scene in news gathering. The cache time can be selected at 4-6 sec, 6-8 sec, 8-10 sec and 13-15 sec in CAMERA MENU while XAVC CODEC is selected. In XAVC Intra, the maximum cache time is 2-4 sec. - The PXW-X200 has the Simul Recording function. Utilizing this, a mirror recording is possible. - (Note) An individual rec trigger is not possible unlike the PXW-X180/X160. - The function is activated by firmware version upgrade which is scheduled in years 2015. - The PXW-X200 is equipped with a Multi Interface Shoe (MI Shoe). MI Shoe has an electric interface in its mechanical attachment and a camera and an attached accessory can communicate each other to work conveniently. - There are two MI Shoe accessories that can be used with the PXW-X200 as of now. Either of them can be connected to the MI shoe. - The MI Shoe is activated by firmware version upgrade that is scheduled in the year 2015. You can now view your shoots on professional equipment such as a monitor, recorder and switcher, just by connecting the SDI Interface to your monitors with when it is in 1080/59.94P or 1080/50P mode, it works as 3G-SDI and is able to output the 1080/59.94P or 50P signal. The 1080/59.94i or 1080/50i converted signal can also be output in accordance with the menu setting while the camera is in 1080/59.94P or 1080/50P mode. The down-conversion output from HD to SD is also possible. Adding to the SDI, the PXW-X200 has a HDMI output interface. Since HDMI is popular in the consumer products, monitoring the content on your consumer TV is now possible, so is the simultaneous output both from SDI and HDMI. The Rec Trigger signal can be sent through SDI and HDMI to link an external recording device. Video Set Menu can activate this function. The PXW-X200 has the Wireless functions. By attaching the supplied IFU-WLM3, the below function can be realized. This function is basically common with the Sony CBK-WA100 wireless adaptor. The IFU-WLM3 is the only Wi-Fi adaptor that can be connected to the PXW-X200. For the streaming function, a 3G/LTE adaptor is required. The applicable adaptor will be announced separately when it will be ready. The IFU-WLM3 is supplied with the PXW-X200. Since the IFU-WLM3 needs a type approval, the PXW-X200 cannot be sold in some countries. Please check with individual country status. - The PXW-X200 has NFC (Near Field Communication) chip in the camera grip. 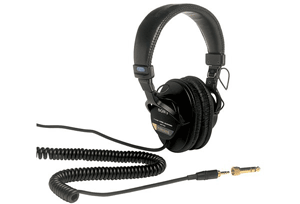 It greatly helps the connect-ability between the PXW-X200 and the Android devices. - Content Browser Mobile is started up and the target device is selected automatically. The PXW-X200 is equipped with a GPS device. The GPS data is automatically obtained and recorded in two file locations, so you can know where you have take your shots and keep your every memories plotted. The GPS function can be disabled by OTHERS menu. - The GPS function is activated by firmware version upgrade that is scheduled in the year 2015. - Log file implementation is TBD.